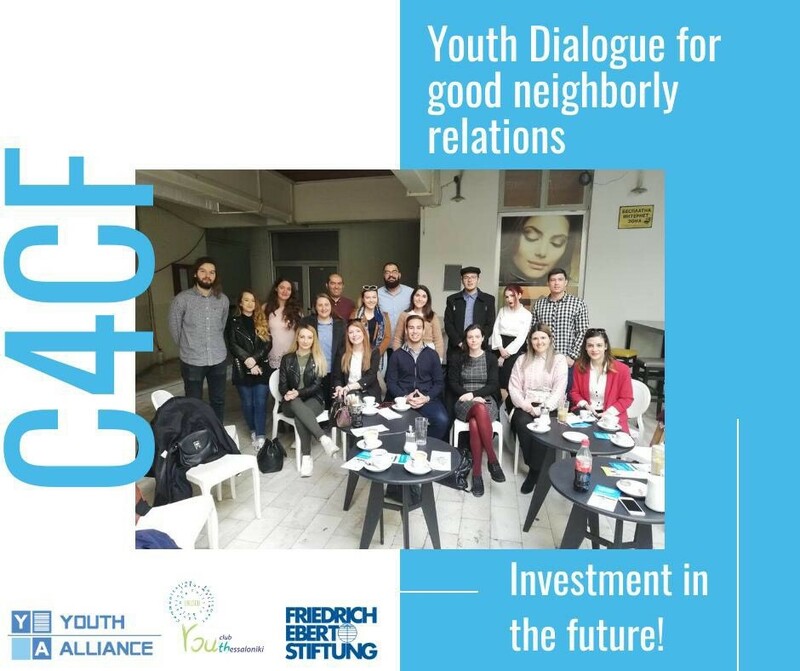 A group of professors and students from the University of Macedonia in Thessaloniki visited the University St. Cyril and Methodius in Skopje on 14-15 March 2019 in the framework of the project «Contacts for common future». 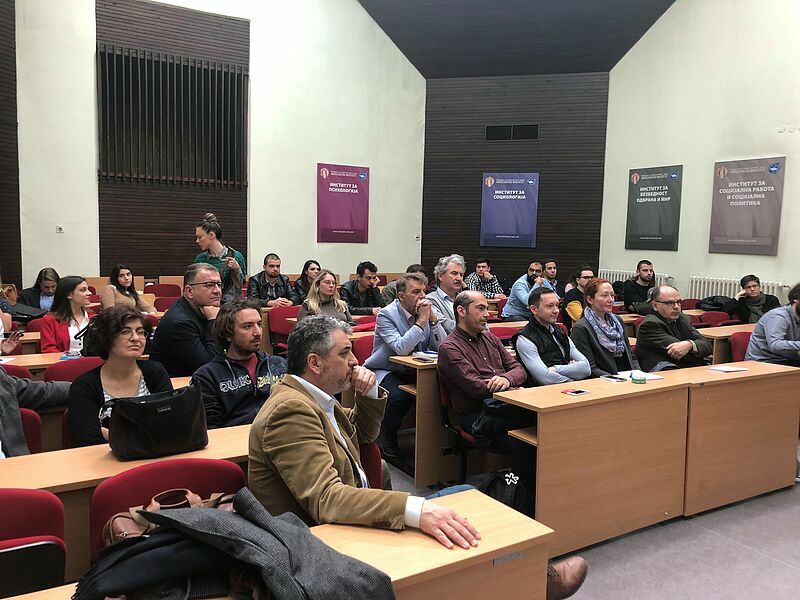 During the visit, the professors and students met with the Deputy Minister of Education Petar Atanasov and had the opportunity to meet their colleagues at the Faculty of Philosophy at the University St. Cyril and Methodius in Skopje. At the meeting it was discussed about the possibilities for cooperation, linking and exchange of staff and experiences in the field of related study programs. 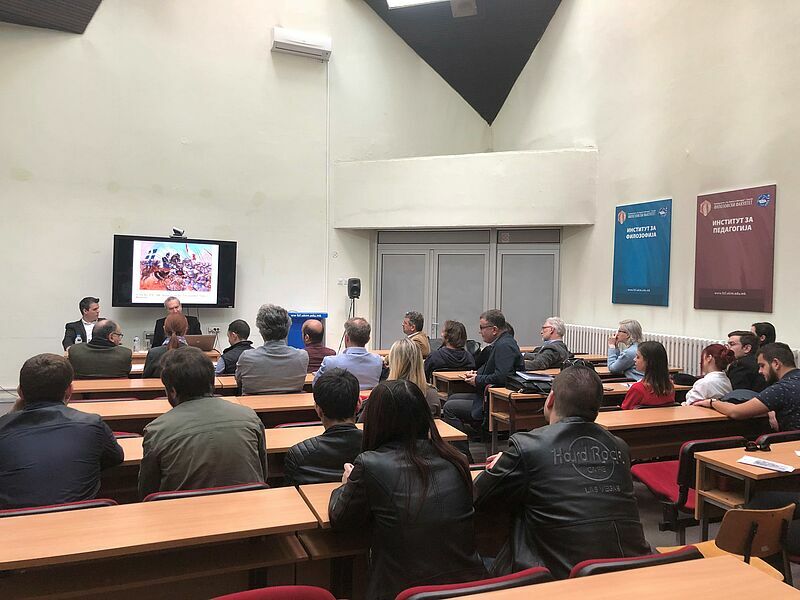 During a visit to the Faculty of Philosophy, Professor Theodosios Karvounarakis delivered a lecture on the topic IMAGES OF OUR COMMON HISTORY: EUROPE 1648-2018. 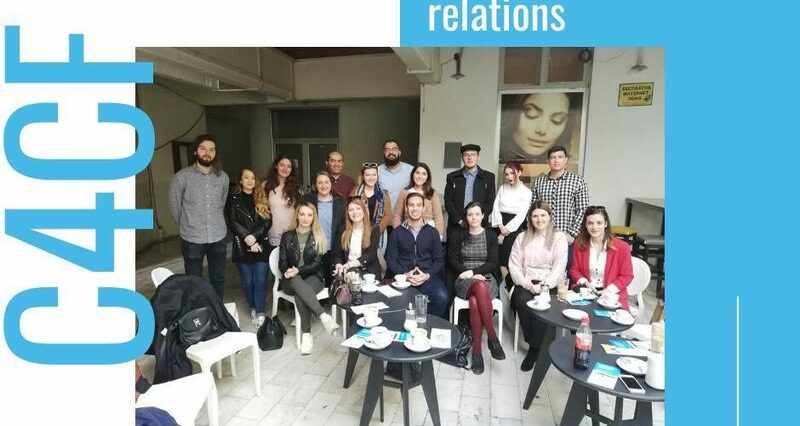 During April, a study visit to the University of Thessaloniki will be organized within the project.